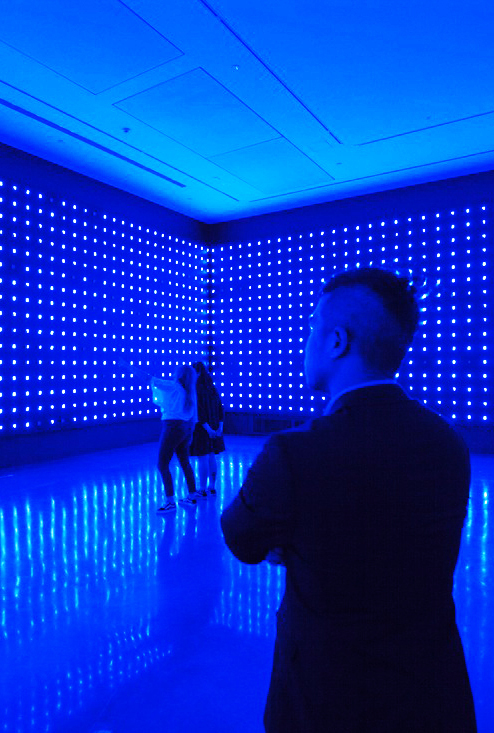 Since 1987, Tatsuo Miyajima has been constructing installations using LED digital counting devices. His works combine a performative aspect with architectonic structures, sometimes taking the shape of geometric patterns or organic shapes as well as encompassing vertical and horizontal surfaces. The LED devices count progressively from 1 to 9 or backwards – Miyajima never employs 0 – establishing a rhythm as definitive as repetition itself and the inexorable passing of time.